First generation Super Record Pista chainring with 'Patent. Campagnolo' markings. 'Patent Campagnolo' was marked on all chainrings up until 1978. 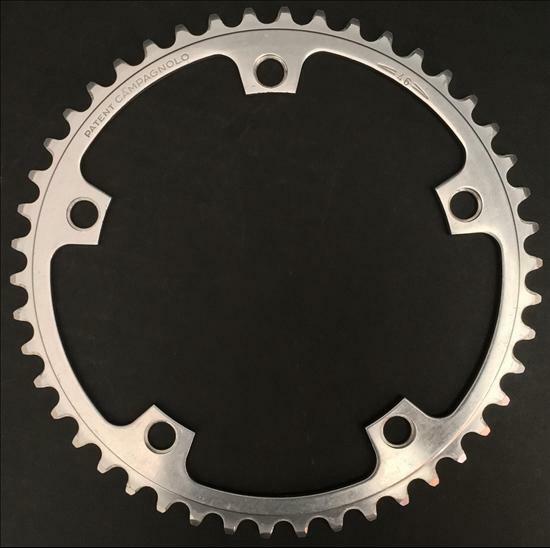 Super Record road/track groups were introduced in 1974, meaning Super Record chainrings with 'Patent Campagnolo' were only produced for four (4) years, making them exceedingly rare.